Promo Code at Checkout: "train10off"
Printable certificate available once you complete and pass the final exam. Valid for maximum of 5 years. Check with your local health department as certificates may expire sooner. The Food Safety Manager Principles Course will give you the proper food safety training to help you prepare for the nationally accredited certification exam of the ANSI-CFP (American National Standard Institute – Conference for Food Protection). The Food Safety Manager Principles Course provides necessary training leading up to the Food Protection Manager Certification Exam. This course covers food safety issues, regulations, and techniques to maintain a food-safe environment. The Learn2Serve Food Protection Manager Certification (CFPM) Exam is approved by the American National Standards Institute (ANSI) and the Conference for Food Protection (ANSI-CFP). The intent of this examination is to certify that each food manager has demonstrated by means of a food safety certification examination to a certifying organization that he or she has the knowledge, skills and abilities required to protect the public from food borne illness. This accredited exam is accepted in most states and jurisdictions* that have mandatory certification requirements for Food Management Professionals. The final exam must be passed with a 70% or higher to get credit for completion of this course. Please remember, your examination must be proctored. *This exam is not accepted in Connecticut and Philadelphia, Pennsylvania. Before the Exam: To login to the exam you will need the username and password sent to you in the exam enrollment notice email. If you did not receive your username and password contact Customer Support at 855-796-3525. IMPORTANT: You must have your Username and Password available when you arrive to take the exam. 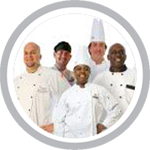 Most people working in restaurants and non-restaurant facilities need a Food Handlers Card. To get the card, food handling and serving personnel should complete food handling training. After completing the course, they have to present the food handlers certificate to their local authority and pay the required registration fees. Food Handler Training is often intended for entry-level professionals in the food service industry, such as servers, chefs, cooks, cashiers, and even c-store clerks. The Food Handler Certificate will require the learner to complete a brief 2-hour training course covering basic food safety principles. At the conclusion of the course, the learner will be tested on their knowledge of the content and learning outcomes. Upon successfully passing the exam, the learner will be issued a Food Handler’s Certificate document (or card). The Learn2Serve.com Food Handler Training course will discuss various food safety issues, regulations, and techniques to maintain a food-safe environment. It will help you to better understand how handling food correctly is not only the law, but it improves safety and reduces risks. Identify biological, physical, and chemical contamination. Identify foodborne illnesses, signs of food spoilage, types of food prep contamination, and proper temperature control methods. Safely store and prepare meat, poultry, and vegetables. Demonstrate effective food handling techniques that promote cleanliness and safety in food establishments. Discuss the importance of proper personal hygiene in the workplace. Implement appropriate procedures to receive and store food. Summarize practices for properly cleaning and sanitizing food contact materials and surface. Upon successful completion of the course and the exam, you will earn your food handler certificate of completion from your training page. Alabama food handler safety training is necessary for employees in the food service and hospitality industry. 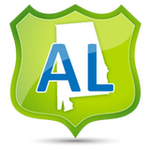 Alabama food safety training is for employees (such as chefs, cooks, servers, preparers, vendors, caterers, supervisors and managers) who are involved in preparing, storing, or handling food that work in: (restaurants, bars, cafes, bakeries, delis, mobile food trucks, assisted-living, day care centers, and convenience stores). Alabama requires each retail food establishment to have a person-in-charge, an owner, or manager of a food establishment be a Certified Food Manager (CFM) as outlined in the FDA Food Code by successfully passing an accredited ANSI food safety certification exam. The Food Safety Manager Principles Course provides necessary training to help you prepare for the nationally-accredited ANSI Certification Exam. The ANSI Certification Exam is taken to certify that the food manager has demonstrated that he or she has the knowledge, skills and abilities required to protect the public from foodborne illness. The Food Manager Certification is usually valid for 5 years. However, in a few local jurisdictions this may vary, so make sure to check with your local health authority. Our Learn2Serve Food Protection Manager Certification is approved by the American National Standards Institute and the Conference for Food Protection (ANSI-CFP). This accredited exam is state-accepted for food manager certification requirements for Food Management Professionals. The candidate must pass the food safety examination from an accredited certification provider to be recognized as a Certified Food Protection Manager. We offer online Food Safety Training in Alabama for: Birmingham, Montgomery, Mobile, Huntsville, Tuscaloosa, Hoover, Dothan, Auburn, Decatur, Madison, Florence, Gadsden, Phenix City, Prattville, Vestavia Hills, Alabaster, and many more! Food Safety Terms: food safety, food safety course, food sanitation, state-approved, certified food manager, cfm, mobile food vendor, food cart, mobile food trucks, food truck, catering, food safety training, food safety exam, food manager certification, food handler card, food handler, food safety manager, food manager cerification prep, food manager, food managers certification, on-premise, off-premise, food managers class, food managers course, food safety class online, haccp, serve-safe, foodsafety.gov,fda.gov, food safety training, ansi, cfp, ansi-cfp, food safety jobs, food safety links, food safety course demo, food safety regs, food inspector, foodborne illness. Birmingham, Montgomery, Mobile, Huntsville, Tuscaloosa, Hoover, Dothan, Auburn, Decatur, Madison, Florence, Gadsden, Phenix City, Prattville, Vestavia Hills, Alabaster, and many more!